According to a leading daily, though Shahid and Priyanka walked in separately at the red carpet but as soon as they were inside the venue, there was nothing that could intervene their loving camaraderie. The Kaimey co-stars sat close throughout the evening and were no less than being back as a pair. In fact, when Shahid bagged the ‘Best Actor’ award, PC couldn’t resist the joy and instantly gave a peck on his cheek. Now isn’t that some BIG news? That’s not all! Funny man Kapil Sharma was playing the host that evening. Did she or didn’t she exchange rings with Ranbir Kapoor in London ? 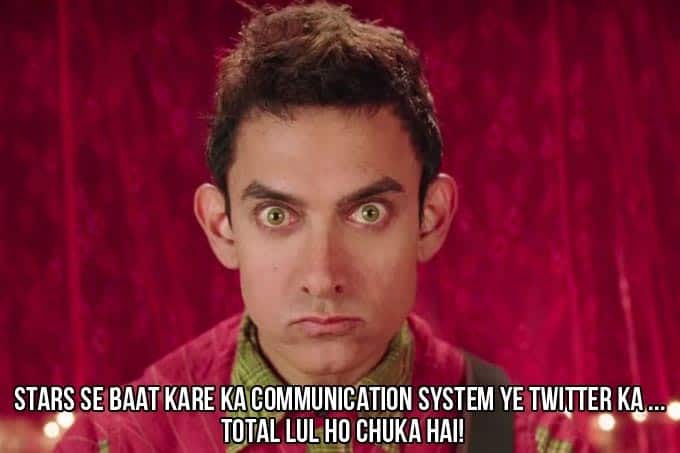 That’s the question on everyone’s mind in B-town circles. Ever since Katrina Kaif returned from the New Year trip, common friends of RK and Kat have been heard speculating about a happy news being announced by the Kapoor family in the near future. Will there be a press conference announcing the news or will Katrina and Ranbir just walk out of their Bandra house showing off their rings? Recently during her visit to wish happy birthday to her friend Farah Khan, Katrina was spotted stepping out of the building with one hand in her pocket. Immediately there was talk and chatter that she had an engagement ring, which she was hiding from the photogs. After that her Umang performances on Friday night came under the scanner, where Phantom heroine was spotted wearing a big fat shiny ring. Upen Patel proposes to Karishma Tanna! Upen Patel went back into the Bigg Boss house saying he wanted a chance to complete what he had left unfinished. Now we know what it was! Ever since the actor was out, he has been rooting for Karishma Tanna to win the show. The moment he entered the show, he proposed to the leggy beauty. Says a source, "Upen and Karishma were sitting on the bed and chatting, when suddenly Upen caught hold of her hand and told her that he will put a ring on her finger the moment they are out of the house. He told Karishma that he has always liked her, irrespective of whether she was at her best or worst behavior. He also said that he doesn't care about her past." Upen also gifted her an Elie Saab perfume. Karishma, who was taken aback by the proposal, said that she needed time to think. The source adds, "Though Karishma seemed flummoxed by Upen's proposal - she told him she doesn't know how to react - she is quite comfortable with it." Incidentally, the actress already has a boyfriend, the restaurateur Rushabh Choksi, who owns Escobar. In fact, she even keeps saying that she is in an relationship. However, when asked for his reaction Rushabh said, "I have nothing to say. Karishma and I are very good friends and nothing more." 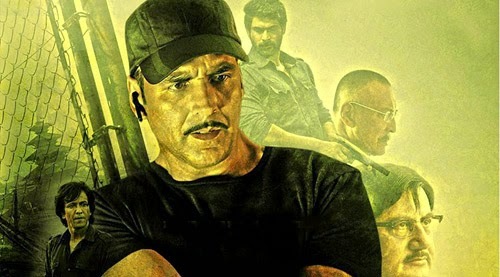 Ever since the promotion of the new Akshay Kumar project Baby started, there is a whole lot of curiosity as to why he has chosen to be in another film entitled Baby. For those who came in late Akshay Kumar has earlier done Sajid Khan's Heyy Babyy. So is the star attached to films with the word 'Baby' in the title? Baby director Neeraj Pandey enlightens, "There is no huge secret behind my film's title. It's the nickname for the black op. that Akshay Kumar and the others in his team are part of. The unit is on a trial-run for five years. And since it's in its infancy everyone calls it 'Baby'. As simple as that." Neeraj was advised to create an aura of suspense around the film's title. Butdirector says he doesn't want to create an unnecessary atmosphere of curiosity. "Audiences must be told what they need toknow about a film," says Neeraj. "And they can't come to my film expecting to see a cute infant in it." Looks like the year 2015 has started on a good note for Lisa Haydon and she has now replaced the dusky beauty Chitrangda Singh as the brand ambassador of Sohail Khan's cricket team Mumbai Heroes at the CCL. The celebrity cricket league (CCL) that has many Bollywood celebrities participating in the game, is a gala event filled with glamour and sports. Last year, we spotted Chitrangda along with Huma Qureshi cheering for the team. However, with the new development, it will be Lisa Haydon who will be seen attending these CCL matches along with Huma. It is being said that the replacement happened because the deal to retain Chitrangda as the brand ambassador fell through and hence, Lisa was approached for the same. Bollywood producer and director of the cricket team, Vikas Kapoor however maintained that Chitrangda has non-availability issues and hence Lisa has been asked to come on board. Also we hear that Lisa has agreed travel with players for other matches. The tournament kick starts on January 10, that is today and the opening match will be between Riteish Deshmukh's team Veer Marathi and Mumbai Heroes that will be held at the The Cricket Club Of India grounds, Mumbai. Olympian wrestler Sangram Singh has recently signed a 'Death Contract' with the Commonwealth Heavyweight Championship which is to be held on February 28, at Port Elizabeth in South Africa. The lethal game, says Sangram, will only leave one of the two players in the ring on his feet at the end of the game. "Serious injuries are very likely. I'll be pitched against the world wrestling champ Joe Legend for the 'last man standing' match. The last time when I played for this match I broke my nose and my ribs. This time anything can happen. Hence the 'Death Contract' which means if anything happens to me, no one is to blame," says Sangram. The wrestling champ says he also wants to help other wrestlers financially. "I will use the money that I make from the 'Last Man Standing' match to help my colleagues. There are dozens of promising wrestlers in the country who can't afford proper training. I want to use my name and money to help them." Shaadi to long-time girlfriend Payal Rohatgi has been pushed to November. "I want to see how the 'Last Man Standing' match goes. I want to concentrate on wrestling throughout the year. Payal and I will marry in November." The year 2015 has started on a high note for Ritesh Batra's internationally acclaimed and award winning film, The Lunchbox, which is nominated for the 'Film - Not in the English Language category' of the British Academy Film Awards 2015 on January 9. Ecstatic about this new achievement Batra says, "It's an honor to be nominated alongside the finest films of the year, much credit to my whole team and the work we did together. It's a good validation to tell Indian stories to the world, if we don't tell our own stories, no one else will." The nominations for the awards, organized annually by BAFTA, were announced in London on Friday. The Lunchbox, starring Irrfan Khan, Nawazuddin Siddiqui and Nimrat Kaur, is competing with Polish-Danish drama film Ida, Russian drama Leviathan, Brazilian-British adventure drama thriller film Trash, and Belgian drama Two Days, One Night, according to the official BAFTA website. Over a period of more than one year, The Lunchbox has been showcased in various film festivals including The Cannes Film Festival, The Telluride Film Festival, The Toronto Film Festival and The London Film Festival. It has won various awards like Viewers Choice Award at the International Critics' Week, Best Film at The London Film Festival and The Filmfare awards, to name a few. It recently won an award of Best First Feature in 2014 by Toronto Film Critics Association. 2015 has begun with quite a bang, as far as music is concerned. From Bipasha Basu's Alone to Sonam Kapoor's Dolly Ki Doli and Varun Dhawan's Badlapur to Amitabh Bachchan's Shamitabh, several upcoming films have treated the audience to some good dose of music. Here's taking a look at five songs that have journeyed to the hearts of people, gaining innumerable hits on Youtube. Bipasha Basu and Karan Singh Grover's setting-fire-to-the-screen act in the track Katra has been lapped up by the audiences. Apart from some droolworthy chemistry, the number Katra boasts of the sensual voices of Ankit Tiwari and Prakriti Kakkar. An intense Varun Dhawan, an oh-so-hot Huma Qureshi and a beautiful Yami Gautam. Jee Karda from Badlapur has the versatile Sukhwinder Singh on the vocals, and is already a rage among listeners. A pretty Sonam Kapoor in a punky-Indian outfit, giving the 'Babaji ka Thullu' to suitors Rajkummar Rao, Varun Sharma and Pulkit Samrat... This number from Dolly ki Doli is steadily climbing up the charts. 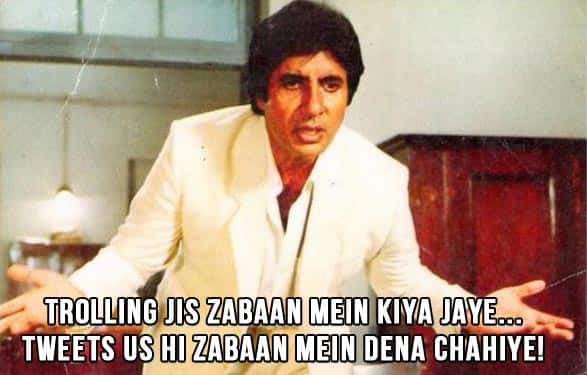 When Amitabh Bachchan sits on the pot and croons a song, you don't really question anything. You listen to it. It's that unusual an occurence. Piddly Loo from Shamitabh is clearly among the most loved songs of the month. If romantic, soothing, intense numbers are what gets you going, the title track of Khamoshiyan is for you. Ali Fazal, Sapna Pabbi and Gurmeet Choudhary on the screen, and Arijit Singh on the speakers. Enough said. A lot has been written about Arjun and Sona’s off screen chemistry and how the two are apparently in a relationship. While they make a cute couple in real life, have they packed a solid punch together onscreen with their film Tevar ? Read the full review of Tevar and find out yourself. 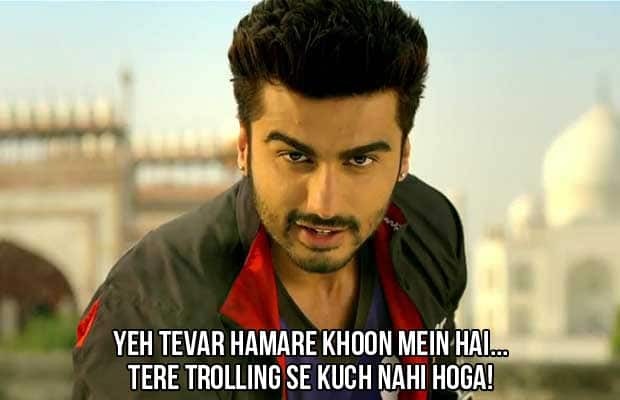 Arjun Kapoor (Pintu Shukla) is a Kabbadi champion who hails from Agra and believes he is no less than Rambo, Terminator and of course Salman Khan. Whenever a girl or a woman is being harassed, Pintu enters the picture like a knight in shining armour and rescues the damsel-in-distress. 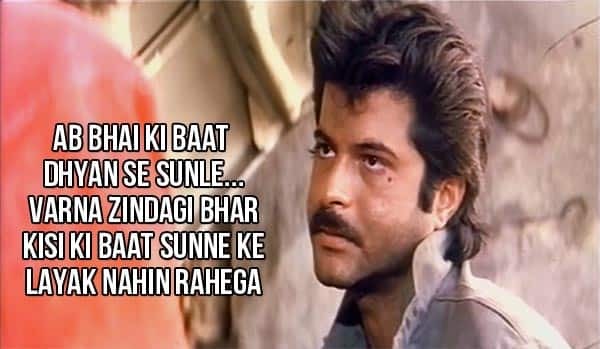 That’s how Sonakshi Sinha (Radhika) meets Arjun. Manoj Bajpayee (Gajendra Singh) is a corrupt politician who is head-over-heels in love with Radhika the moment he lays eyes on her. This one-sided love story starts while the Radhika shows off her moves on Radha Nachegi song at a cultural event. The very next day Gajendra Singh ends up proposing Radhika and asks her to marry him. But the latter refuses and that’s when the story takes off. Pintu comes to Radhika’s rescue and the two are on the run thereafter. Do Pintu and Radhika manage to escape from Gajendra Singh and his army of goons? Or does the Kabbadi champion lose his life while saving his ladylove? Well, watch the film to find to out but we are pretty sure it’s not rocket scienece to figure out the rest of the story! It certainly has to be Arjun Kapoor and his dumdaar performance. We have seen Boney Kapoor’s ladla beta doing action on the big screen before as well but this time he reminded me of his mentor Salman Khan. He is a one man army who can take as many as 10 goons at a time. And what’s commendable is that he makes it look believable. 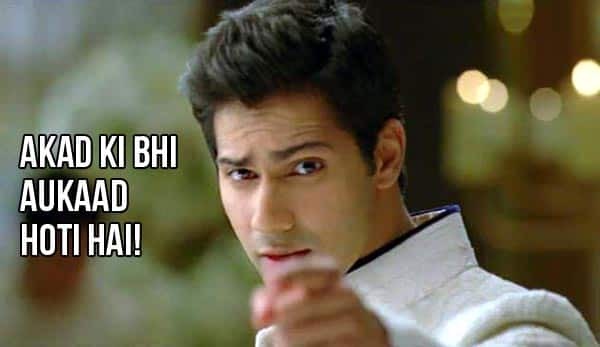 Apart from all the dhishoom-dhishoom, Arjun is also good with his comic timing. Though the story of Tevar is predictable, the Kapoor lad makes the ride enjoyable with his act. After Tevar, I think it’s safe to say that AK can now carry a film solely on his shoulders. Sonakshi Sinha is back to playing the girl-next-door character in this flick and she is decent throughout. But Sona’s co-star clearly outshines her and therefore there is nothing much to boast about the leading lady of Tevar. Manoj Bajpayee and Raj Babbar also star in the film and they play their parts well. Personally, I think Bajpayee surely has mastered the art of playing dark characters. Yes, he has been playing villainous roles too often but he is just good at it. Music wise, Superman and Joganiya stand out. As for Radha Nachegi, well, it’s a good number but it won’t make you go WOW. As I said in my quick review, Sanjay Kapoor’s production venture has nothing new to offer as far as story is concerned. This film is like an old wine packaged in new bottle. A corrupt politician falls in love with a girl and will go to any extent to marry her. The girl falls for the guy who is doing everything he can to save her from the bad politician. It’s the same old tried and tested formula. Also, in the second half the makers could have done away with few things and made the film shorter. Lastly, Arjun and Sonakshi’s pairing is pleasant but I didn’t find their chemistry oh-so-sizzling. That could be because the two are always on the run. However, the makers could have explored their chemistry in a better way as they share amazing rapport off screen too and that would have translated on 70mm, hai na peeps? Amit Sharma’s Tevar is the remake of Telugu blockbuster Okkadu. While the original got registers jingling down South, the Hindi version too isn’t bad at all. It’s a typical Bollywood masala film which has all the ingredients to entertain you - naach-gaana, romance, action and comedy! So if you’re planning to watch Tevar this weekend, it wouldn’t be a bad idea. And if you are a Arjun Kapoor fan then I think you shouldn’t miss this one at least for him! OMG! Ranbir Kapoor and Katrina Kaif exchanged rings in London ? Marriage might not be happening anytime soon, but rings have certainly been exchanged. We are talking about Bollywood’s ‘it’ couple Ranbir Kapoor and Katrina Kaif. Yes, word has it that the lovebirds, who celebrated New Year’s together in London took their relationship to the next level on December 30. A source close to the couple has EXCLUSIVELY revealed to us that the engagement was a low key affair, which took place in the presence of Katrina’s family. “The engagement was planned by Katrina’s family members, who stay in London. It was a very low key affair, with only close relatives present at the do,” says the source. Apparently, even Ranbir’s parents Neetu and Rishi Kapoor flew to London to see their son getting engaged to the love of his life. As you will already know, Ranbir and Katrina recently moved in together. The duo even threw a bash, which was attended by their close friends from the industry. And now with the news of their engagement, marriage definitely is on cards for the two. Actor Sanjay Dutt arrives back at his residence. 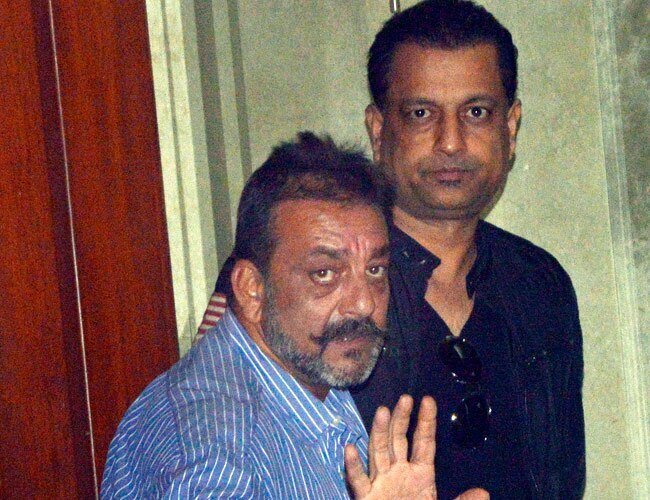 Photo: Yogen ShahActor Sanjay Dutt, convicted in the Mumbai serial blasts case, on Thursday left home for jail to surrender on expiry of his 14-day furlough but was back home again, apparently due to lack of coordination between the prison and police authorities on his application seeking an extension of leave of absence. "Sanjay Dutt reached Pune jail along with my colleague this afternoon when there was a news flash that the Minister concerned has made a statement that since the application seeking extension of furlough is pending, he (Dutt) does not require to surrender," Bollywood star's lawyer Hitesh Jain said. "Hence we have given a letter to prison authorities that since such a news has been flashed we will wait for another 24 hours. If there is no word by then, Dutt will surrender tomorrow," he told PTI. When contacted, Rajendra Dhamane, Deputy Inspector General (prisons), Pune, said, "Sanjay Dutt cited bad health as reason for extension of furlough. We asked the Mumbai Police to verify if the reason cited by the convict is true. We sent them a correspondence but have not received any response from the local police yet." 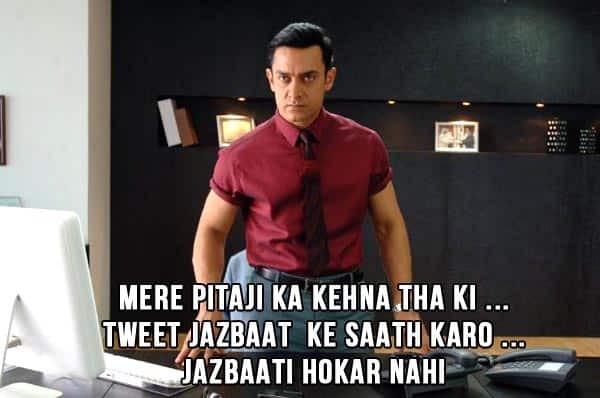 However, Joint Police Commissioner (Law and Order) Dhanjay Kamlakar, who is the in-charge of all 93 police stations in Mumbai, said, "We have not received any communication from prison authorities to verify anything pertaining to Dutt." Minister of State for Home Ram Shinde said DIG of Prisons, Pune, has not taken a decision on the extension of Dutt's furlough as yet. "It is upto the authorities to decide whether he should be given an extension or not. If he gets it, fine. If he doesn't, he will have to go back to jail. But no decision has been taken as yet," he told PTI. 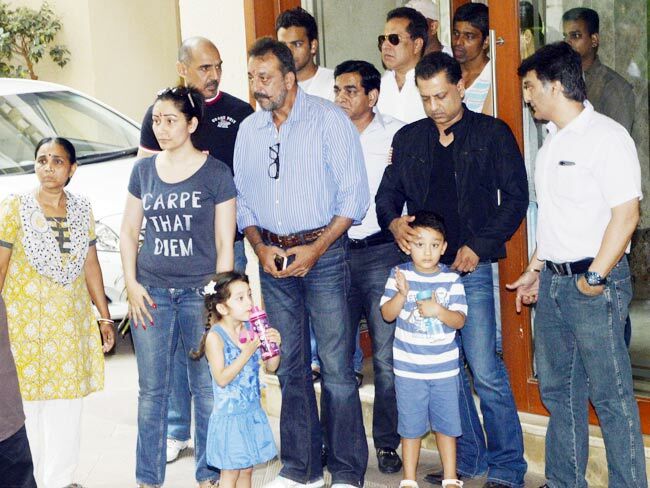 Sanjay Dutt with his wife an kids before leaving for Pune. Pic: Yogen ShahThe minister replied in the negative when asked if he had made any statement that Dutt was not required to surrender before the jail authorities as his application was still pending. The 55-year-old actor, convicted in the serial blasts case for illegal possession an AK-56 rifle and its destruction, was released on a 14-day leave of furlough by the Yerawada Central Jail authorities on December 24 as he wanted to be with his family in the New Year. Before leaving his home for jail he told reporters that he had requested for an extension of furlough on December 27 which was still under process. "Since the law stipulates that I should surrender myself before the authorities if I am not granted an extension, I am going to do so now," he said. Dutt had earlier been granted furlough in October 2013 for 28 days on health grounds, followed by a similar leave in December 2013 to tend to his "ailing" wife Manyata. A controversy had erupted when newspapers published photographs of Manyata reportedly attending a film screening, raising doubts about the actor's claim of his wife's illness. 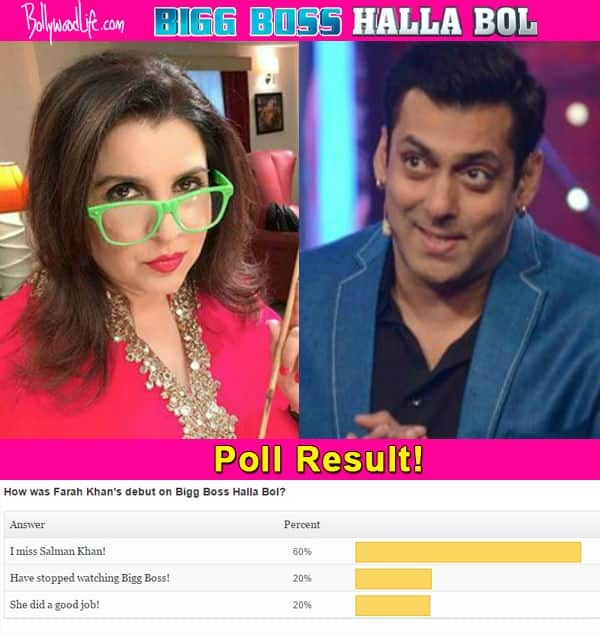 Bigg Boss Halla Bol: Farah Khan as a host disappoints, fans miss Salman Khan! When it was revealed that Salman Khan will bid adieu to Bigg Boss 8 and Farah Khan had been roped in to fill in his shoes in the spin off of the popular reality show, fans were shocked with this unexpected turn of events. While many were saddened with Salman’s exit from the show, a hot topic became the centre of discussion among the gossip mongers – Will Farah Khan be as good a host as Salman Khan was? The first episode of Bigg Boss Halla Bol was aired yesterday and all the speculations and predictions on Farah’s debut were put to rest. We asked fans if they liked the Happy New Year director as the host and this is what they had to say. 60% of Bigg Boss fans said that they missed Salman Khan on the show, indirectly stating that they were disappointed with Farah’s hosting skills. 20% of the fans said that they had lost interest in the show and have stopped watching Bigg Boss all together. Only 20% of the viewers seemed to be happy seeing Farah as the host, as they thought she did a fine job at it. Here’s what Salman Khan has promised Jacqueline Fernandez! There’s definitely something brewing between the Kick co-stars. Read on to find out the full scoop! So we all know how Salman Khan and Jacqueline Fernandez have retained a special bond, ever since their last blockbuster film Kick. The two seem to have got along quite well and constantly venture out together for various outings. In fact, their latest getaway was the highly controversial Sri Lanka visit. Remember how Jacky defended Salman on the whole issue by tweeting about Sallu’s good heart and generosity? It was really sweet of her! However, apart from that, what raises our eyebrows even further this time is Sallu’s ‘promise’ to this Sri Lankan beauty. Yes! In one of her recent interviews, Jacky herself made a confession stating that Salman has promised her something. What is it? Is it anything to do with the proposal? Well, yes! But before inclining it to any of those lovie dovie confessions, Jacky has stated this only in context to her next ‘film proposal’ with Salman! On being asked if she has signed any more films with Salman, the Roy actress said, “No, not as yet, but he promised me something.” Well, knowing how considerate Salman is about Jacky, we think this promise will soon come to play! 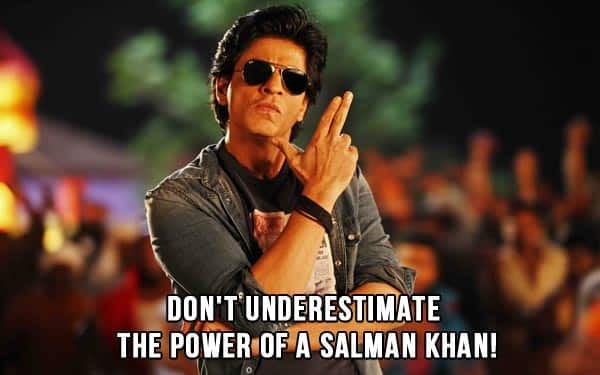 Can’t wait, right BollywoodGupshupers?